THIS SATURDAY, Temple Beth David of the South Shore, 1060 Randolph Street, Canton (on the same road as the Blue Hills Tech), a Reform Jewish Congregation, will have a special surprise! Join TBD for our Tot Shabbat Program AND also our Shabbat Morning Family Service, this month with a guest singer, Zach Blankstein! FAMILY SERVICE – School age children and their families (and everyone young-at-heart) will love our Shabbat Service, this month led in spirited song with Zach Blankstein (http://www.zachblankstein.com). 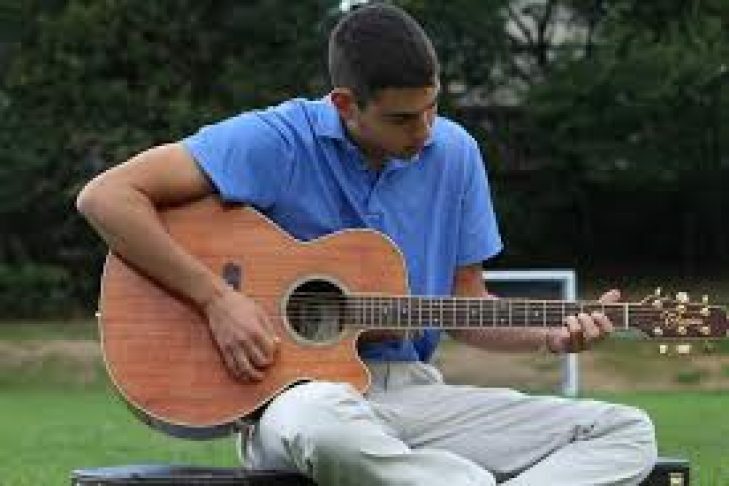 The NFTY (North American Federation of Temple Youth) Northeast Regional Songleader comes from a musical family (his mom is a Cantorial Soloist in Chelmsford) and has quite a long list of merits to his name for such a young man! He recently was the recipient of the RAY of Hope Award, presented to him in November. He is a Camp Grossman Songleader, and Head of Music for Education at his local temple. Visit his website, but also please join us this Saturday morning! TOT SHABBAT – Led by Members of TBD, this month Sherry Herzog. This program is geared for families with children Birth-5 years and their siblings. Parents, guardians, grandparents and friends are welcome to join in these celebrations. Besides blessing, stories, singing and snacks, there’s always lots of schmoozing and /or relaxing in Rosie’s Garden. All are welcome! December 17, January 21, February 11, March 18, April 29, and May 20.